MICROSOFT COOPERATION MANAGEMENT WORLDWIDE ARE PLEASED TO INFORM YOU THAT YOU ARE A WINNER OF OUR ANNUAL MS-WORLD LOTTO LOTTERY CONDUCTED IN EUROPE BEING THE HOST OF THE EVENT FOR THIS PRESENT YEAR MEGA JACKPOT LOTTO WINNING PROGRAMS HELD ON 18th.Dec 2006 CONGRATULATIONS!!! YOUR PERSONAL E-MAIL ADDRESS OR COMPANY EMAIL WAS ATTACHED TO SEPTEMBER MSWLL. WITH SERIAL NUMBER S/N-00168 DREW THE LUCKY NUMBERS 887-13-865-37-10-83, AND CONSEQUENTLY WON IN THE FIRST LOTTERY CATEGORY. 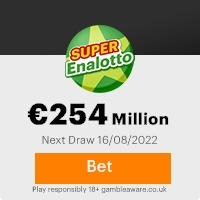 YOU HAVE THEREFORE BEEN APPROVED FOR LUMP SUM OF €500 000,00 (FIVE HUNDRED THOUSAND EURO ONLY) PAYABLE IN CASH CREDITED TO FILE REF NO: MSW-L/200-26937 THIS IS FROM TOTAL PRIZE MONEY OF € 25,000,000 EURO, SHARED AMONG THE FIFTY(50) LUCKY INTERNATIONAL WINNERS IN FIRST AND SECOND CATEGORY. ALL PARTICIPANTS WERE SELECTED FROM WORLDWIDE WEBSITES ESPECIALLY YAHOO MAIL THROUGH OUR MICROSOFT COMPUTER BALLOT SYSTEM DRAWN FROM 21,000 NAMES, 3,000 NAMES FROM EACH CONTINENT (CANADA, ASIA, AUSTRALIA, UNITED STATE, EUROPE, MIDDLE EAST, AFRICA AND OCEANIA, AS PART OF INTERNATIONAL "E-MAIL" PROMOTIONS PROGRAM, WHICH IS CONDUCTED ANNUALLY FOR OUR PROMINENT MS -WORLD USERS ALL OVER THE WORLD, AND TO ENCOURAGE THE USE OF INTERNET AND COMPUTERS WORLDWIDE. YOUR FUNDS IS DEPOSITED WITH GUARDIAN INTERNATIONAL BANK AND INSURED WITH YOUR REF NO: MSW-L/200-26937 WHICH WILL BE RELEASE AFTER DATAS VERIFICATION AND CLARIFICATIONS TO YOU BY ONE OF OUR PROCESSING SECURITY COMPANY IN CHARGE (HAMVAN SEGUROS S.L ). YOUR E-MAIL ADDRESS SHOULD BE USED IN ALL CORRESPONDENCE WITH YOUR CLAIMS OFFICER. PLEASE NOTE THAT, YOU ARE TO CONTACT YOUR CLAIMS AGENT MR WILLIAM LUTHER ,VIA EMAIL AND PHONE AS WE ARE PROMOTING THE USE OF E-MAIL. ALSO YOU HAVE THE RIGHT TO CALL THE HAMVAN SEGUROS S.L TO CONFIRM YOUR WINNINGS AND GOVERNMENT TAX PAYMENT THAT IS ALL, AS THE SECURITY COMPANY WILL PROVIDE YOU WITH THE NECESSARY DETAILS ON HOW TO CLAIM YOUR PRIZE. AS PART OF OUR SECURITY PROTOCOL YOU ARE TO QUOTE THIS SECURITY AND INSURANCE CODE MSW/FEB/XX06 TO YOUR CLAIMING AGENT. Contact person MR. WILLIAM LUTHER. REMEMBER, ALL PRIZE MONEY MUST BE CLAIMED AS SOON AS POSSIBLE. ALL FUNDS NOT CLAIMED ON OR BEFORE 20th OF JANUARY WILL BE RETURNED AS UNCLAIMED AND DONATED TO CHARITY ORGANIZATION IN AFRICA . NOTE: IN ORDER TO AVOID MISTAKES, PLEASE REMEMBER TO QUOTE YOUR REFERENCE AND BATCH NUMBERS AND YOUR SECURITY AND INSURANCE CODE OF MSW/FEB/XX06 IN ALL CORRESPONDENCES WITH YOUR CLAIMS OFFICER. AT ONCE YOU WILL BE ASKED TO PROVIDE SOME DETAILS TO ENABLE HAMVAN SEGUROS S.L PROCEED WITH YOUR WINNING CERTIFICATE AND FILE KEEPING. CONGRATULATIONS, ONCE MORE FROM THE ENTIRE MANAGEMENT AND STAFF OF MICROSOFT COOPERATION TO ALL OUR LUCKY WINNERS THIS YEAR. THANK YOU FOR BEING PART OF THIS PROMOTIONAL LOTTERY PROGRAM. OUR SPECIAL THANKS AND GRATITUDE TO BILL GATE OF MICROSOFT AND ALL HIS ASSOCIATES FOR ALLEVIATING POVERTY ROUND THE WORLD. This Email with the Subject "YOUR E-MAIL ADDRESS HAS WIN" was received in one of Scamdex's honeypot email accounts on Wed, 20 Dec 2006 04:34:00 -0800 and has been classified as a Generic Scam Email. The sender shows as microsorft award <ms.microsorftawardwinningnotificatio@web.de>, although that address was probably spoofed. We recommend that you do not attempt to contact any persons or organizations referenced in this email, as you may expose yourself to scammers and, at the very least, you will be added to their email address lists for spam purposes.